Honey, I shrunk the objects! A new nanotech breakthrough comes courtesy of a material you’d likely find in any nursery. 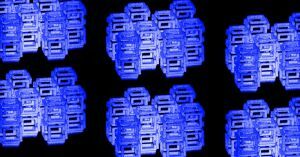 A team from MIT has figured out a way to quickly and inexpensively shrink objects to the nanoscale. It calls the process implosion fabrication, and it all starts with polyacrylate — the super-absorbent polymer typically found in baby diapers. According to the MIT team’s paper, published Thursday in Science, the first step in the implosion fabrication process is adding a liquid solution to a piece of polyacrylate, causing it to swell.